The Great TFSA Race rages on! Every week we will be sharing inspiring stories about ordinary South Africans and their journey towards a better financial future. 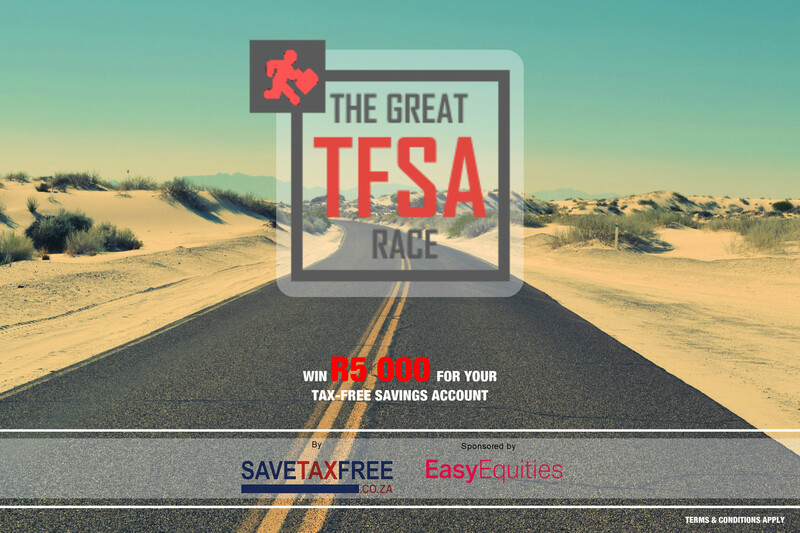 The winners will each get R5,000 to add to their savings. Find out more and enter here. This week’s contestant is living proof that financial freedom doesn’t necessarily require a windfall but can be attained through discipline, a constant willingness to learn and “saving like mad”. Retired at 48, Amber Watkins* is crazy about saving. She does not consider herself an expert and her strategy is, in her own words, very simple: buy, hold and forget – but check occasionally. Savetaxfree spoke to Amber to find out how she was able to reach the finish line in record time. You’ve been invested in the JSE for 10 years; when and how did your passion for investing begin? Very simple, when you’re much younger and have just started working, everyone wants to sell you a policy, whether it’s a retirement annuity or life policy, they just want to sell you something. I took out my first policy with one of the major insurance companies. However, when I started doing my own calculations, based on how much I had contributed monthly over a certain period, I figured that what I’d be getting was less than what I’d put in. That’s when I decided to manage my own investments. Having decided to do so, I began to realise that buying company shares was actually better than buying their products, which is how I started investing in shares. To what extent would you say your parents’ influence during your childhood shaped your views on money and saving? We didn’t grow up rich, we were your average middle class family. My mom never worked. My dad was the sole breadwinner but he was a big fan of living a debt-free lifestyle, so I would say that the idea of living without debt shaped my outlook. Through your savings you’ve managed to achieve what most of us can only dream of. You retired at 48, a feat which you attribute to “saving like mad”. Tell us a bit more about that and how you went about saving. I worked for a big corporation which paid reasonably well. Even though I was at bottom management, my salary increased quite quickly. We also used to get good bonuses and had the option of putting that money into our pension funds. Basically, that’s what I did. When most of my colleagues were using their bonuses to pay off debt, I used it to boost my pension. For someone who’s been investing for some time now, what was it about tax-free savings that sparked your interest versus other investment options? Specifically that it’s tax-free. 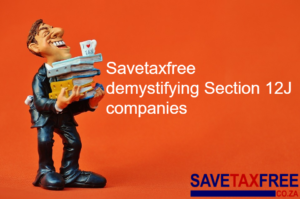 You pay tax all your life and this is the one time where you don’t even have to pay capital gains or dividend tax – everything you make, you keep. I don’t know anyone in my circles who has a tax-free savings account and I really don’t understand why people don’t see the value. Do you make your own investment choices or use a financial advisor, and why? Standard Bank does offer free financial advice. I have only ever used it twice. About 20 years ago I spoke to a lady there who was a financial advisor and she advised that the best thing for me to do was to pay off my home loan. It turned out to be the best advice I have ever received. The rest of the time I feel that financial advisors often give advice based on what they stand to gain, so they may not always sell you products that are in your best interest, simply because those may not be profitable for them. You’ve invested in the db X-tracker MSCI USA Index ETF and the db X-tracker MSCI World Index ETF. Why these funds in particular and how do you choose your investments? Tax-free savings accounts were introduced only last year so my first investment was based on gut feel, then I put all the others on a watch list and basically invested the full R30 000 in the top performer again on the first of March this year. What advice would you give to individuals looking to fast-track their retirement like you have managed to do? Just start; and in order to start you have to take a realistic look at your financial situation and start the process of becoming debt free. You have to remember that just as quickly as debt can accumulate, the same can happen, but more positively, with your investments. When you invest, you can accumulate money, maybe not as fast as you do debt, but just as much over the long term.